Our remarkable hardware and software architecture is advanced beyond any other amplifier supplier and offers break through capabilities not seen before in EW systems. Amoung these capabilities are Multi-domain operations where a single unit is capable of operating in Multi-Domain scenarios as a jamming, communications and radar transmitter at optimal performance with any type of modulation. 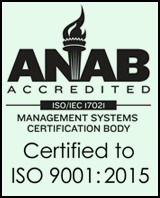 Empower is a major leader in providing leading edge, "Best in Class" power amplifiers for command and control communications for the warfighter, civilian and homeland network applications. These multi-band, multi-mission, highly integrated amplifiers are designed for software-defined radios in manpack, vehicular and fixed site configurations. EMC compliance labs are choosing Empower RF for its technology advancements that have leapfrogged the old establishment while offering refreshing and long overdue performance and feature set enhancements. We provide best in class RF and Microwave amplifiers that go beyond 200V/m CW and 600V/m pulsed for todays demanding Radiated Susceptibility testing requirements. We offer a wide variety of power amplifiers as stand alone or high power tube drivers up to several kilowatts. Radar applications include HF for over-the-horizon (OTH), VHF for very long range and ground generation and UHF for very long range (e.g. ballistic missile early warning) and foliage penetration (SAR). Empower has also provided amplifiers in L-band for long range air traffic control and surveillance (IFF) as well as S-band for moderate range surveillance and long range weather. 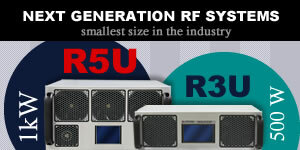 Empower RF has broad experience delivering high power GaN amplifiers into mission critical applications and was a very early adopter of GaN on SiC. Although Empower has many product lines encompassing state-of-the-art Bipolar, MOSFET, LDMOS and GaAs FET devices, GaN has become the marquee technology for TWT replacement and other applications. Model 2223 is a single band solid state GaN system amplifier, capable of delivering a minimum 150W across its entire .6 to 6Ghz band. Equally suited for the production floor, engineering lab, or anechoic chamber, the 2223 comes complete with internal DDC, external forward and reverse sample ports, and an easy to use web served GUI. Model 1219 is a single band solid state GaN module delivering a minimum 30W (40w typical) across its entire .6 to 6 GHz band. 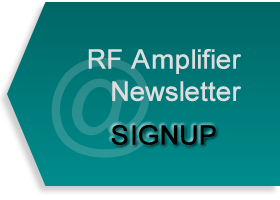 Empower RF is the first amplifier manufacturer to cover this bandwidth with an affordable COTS product. The 1219 utilizes 50V GaN on SiC transistors which have lower leakage currents and higher thermal conductivity and is a more reliable than GaN on Si. New Scalable Pulsed L Band Amplifier with an expandable system hardware architecture designed to save you money- "you buy only the power you need today" and add power amplifier blocks later when your test or application requires more output power. 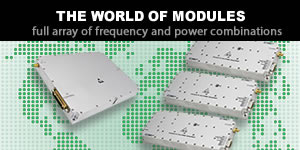 In addition to scalability, this amplifier offers an inherently rugged design and is based on our patented architecture.